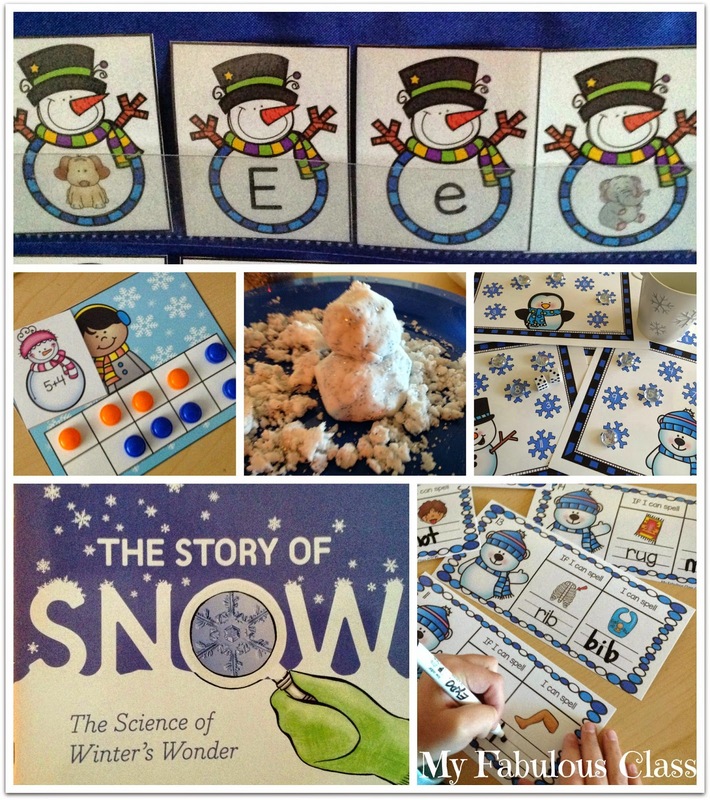 This week, we studied snow! Only, Thursday, we got REAL snow and school was canceled. We have a few more activities to finish up next week. 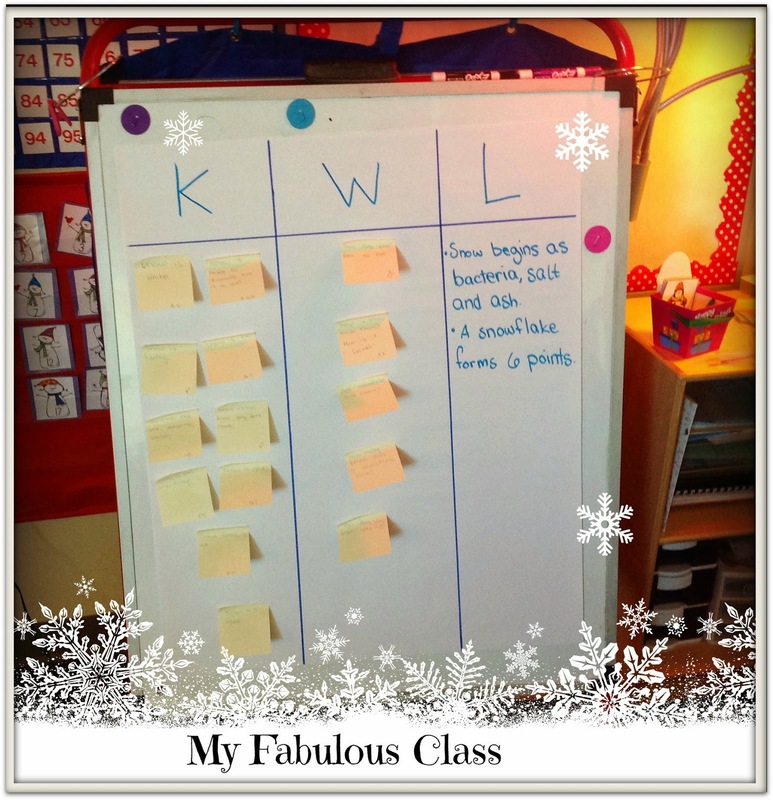 First, we made our first KWL chart with Post-Its. Have you ever used post-its on a chart? I did it so we could move them around it we found out something we thought we knew- like snow is made from diamonds- was not true. Unfortunately, the Post-Its were all falling down by the end of the day! Have you seen this book from Scholastic? 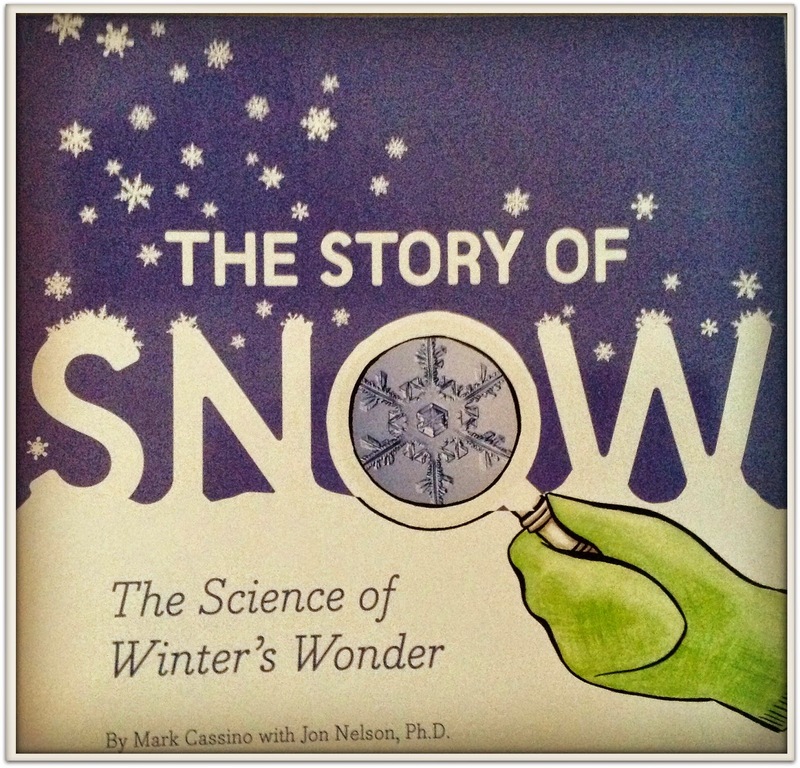 It is a perfect non-fiction book about snow. 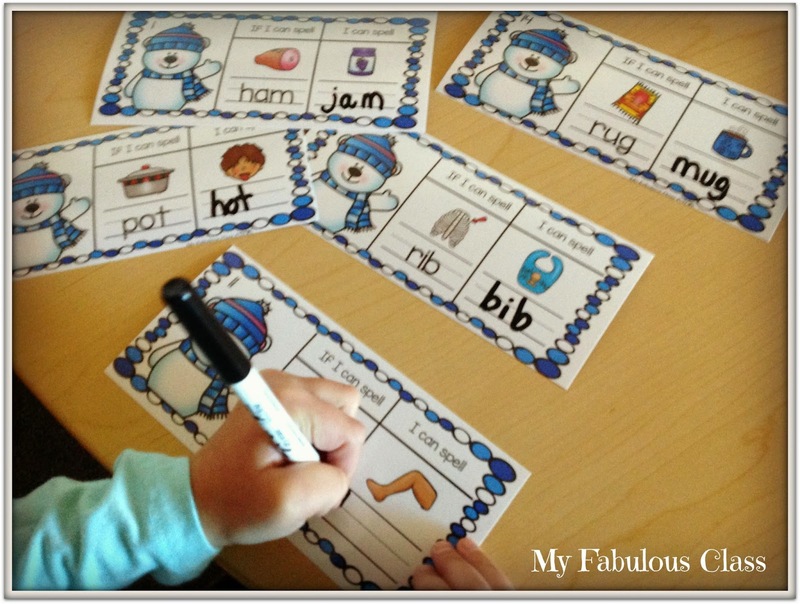 We read a few pages and were able to start filling out the Learned section of our chart. 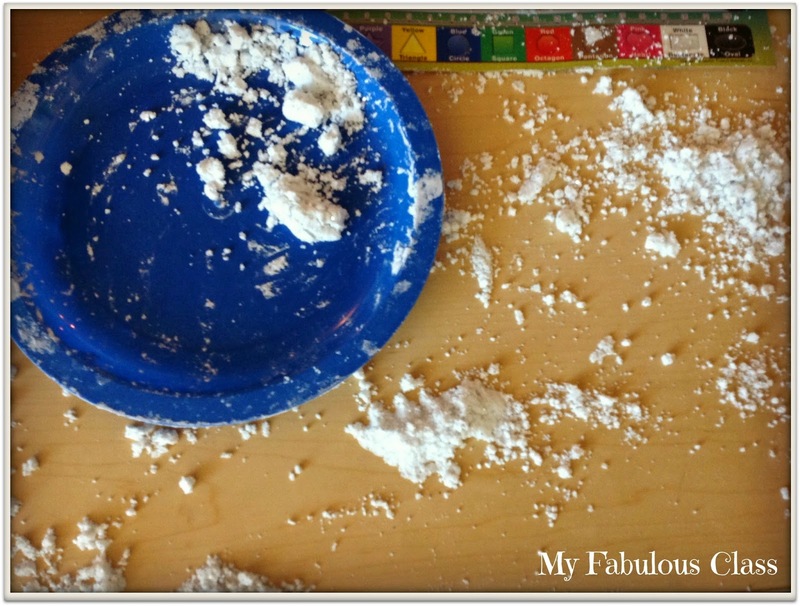 I felt inspired by Tara West at Little Minds at Work and made snow out of 2 boxes of baking soda and 3/4 C of conditioner. I also added some silver glitter. Yes, I went right for it on the carpet...and spent all of music class cleaning it up! I meant to get a drop cloth but I forgot. Some kids made snowman, others just made messes. It was a lot of fun. Even though I spent a really, really long time cleaning it up, I would do it again. 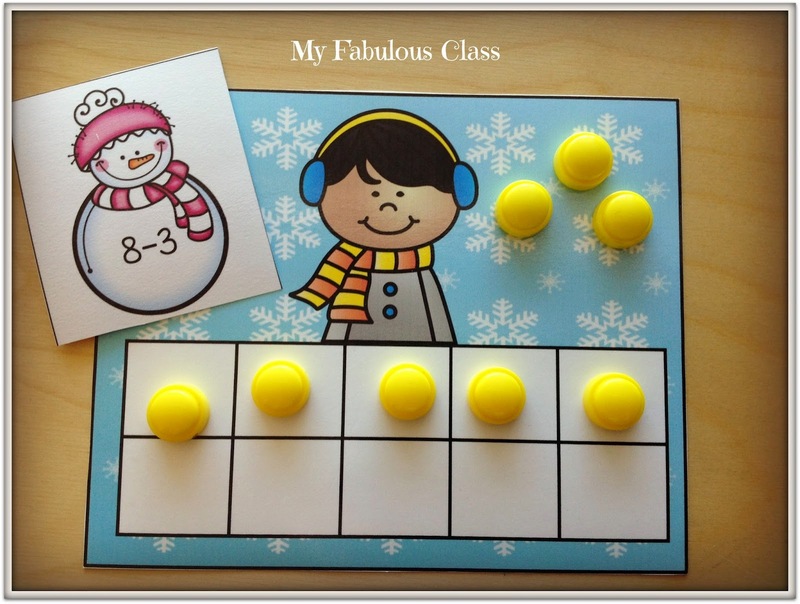 During math, we worked out of my Winter Math Unit. I love the missing number polar bears. 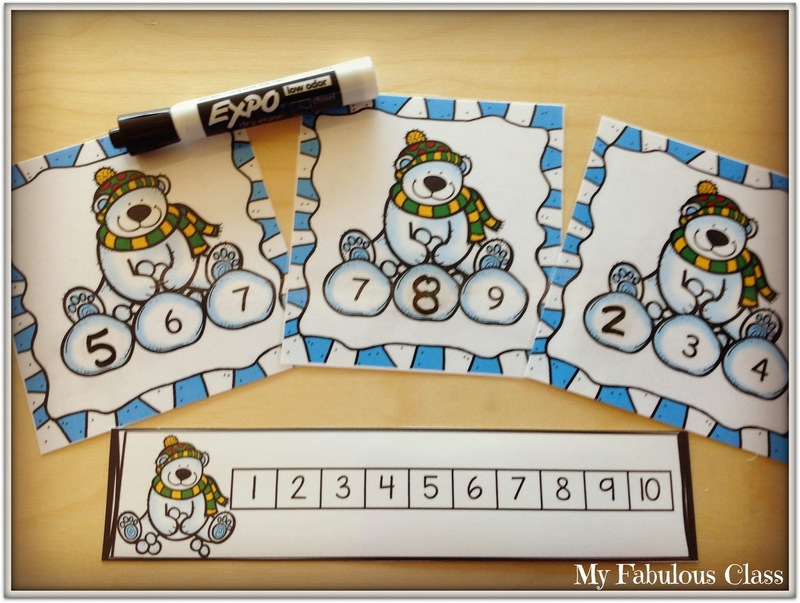 They are differentiated 1-10 and 10-20. I added the number strips to support some of my kids that were struggling with it. You get 8 total centers. 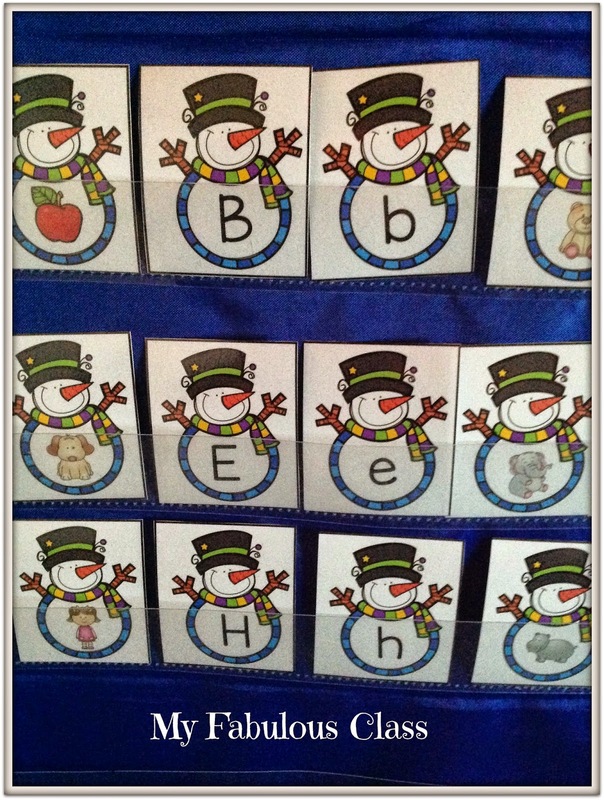 We have also been working from my brand new Winter Word Work Pack. I seriously LOVE the CVC Write and Wipe cards. 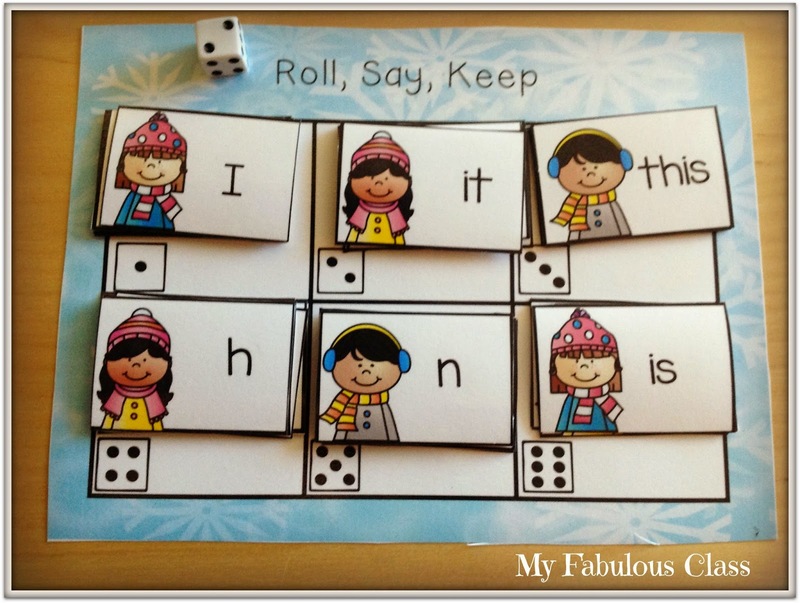 This one comes with 8 centers and 3 printables. It hits on most of the standards for reading foundations. You can even find this adorable FREEBIE in the preview. 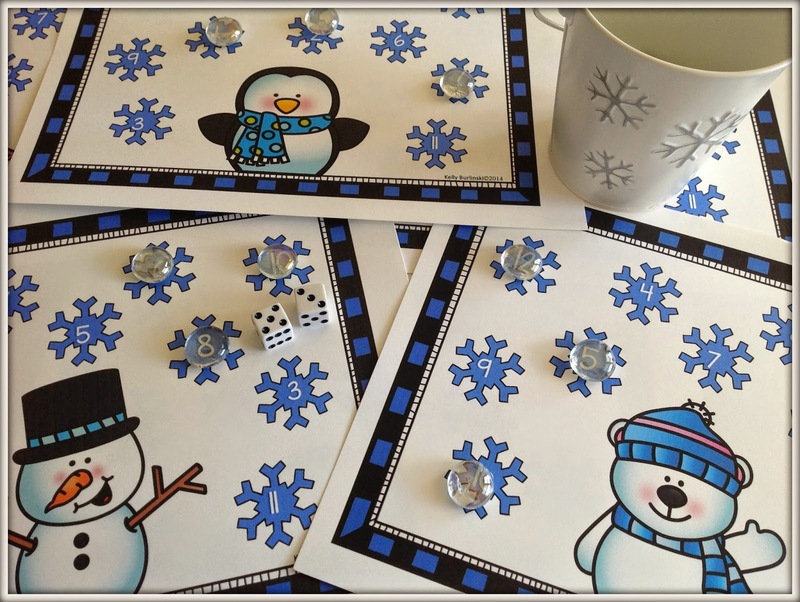 You can get both of these packs bundled with my Winter Read, Write, Build Simple Sentences and SAVE. Click HERE to get the bundle. 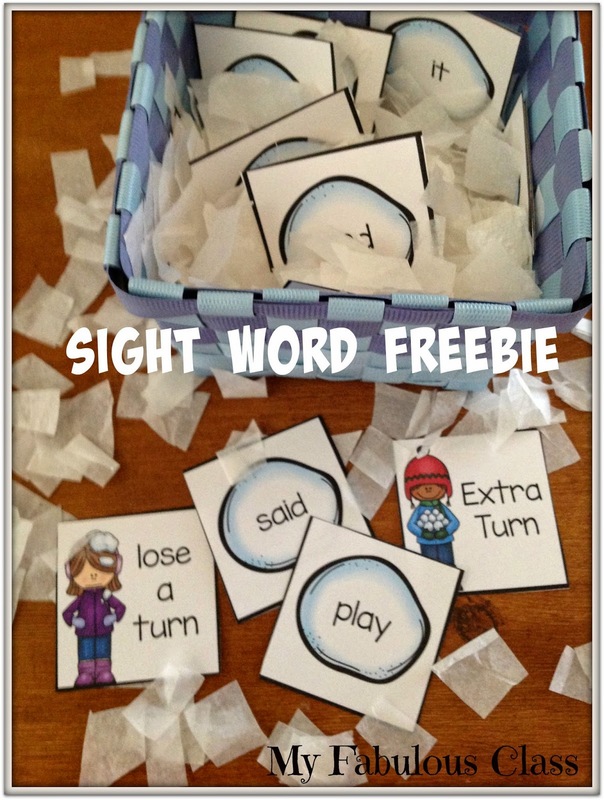 We also played this adorable Snowball Sight Word Game. 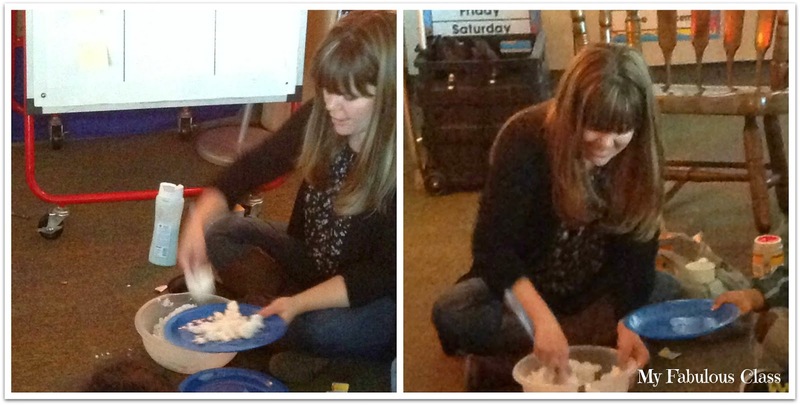 Students reach into the bucket filled with tissue paper and pull out a snowball card. If they can read it, they get to keep it. It also comes with fun bonus cards for lose a turn and extra turn. Who ever has the most cards at the end wins. You can get it FREE HERE. Enjoy! Thank you for the sweet freebie! 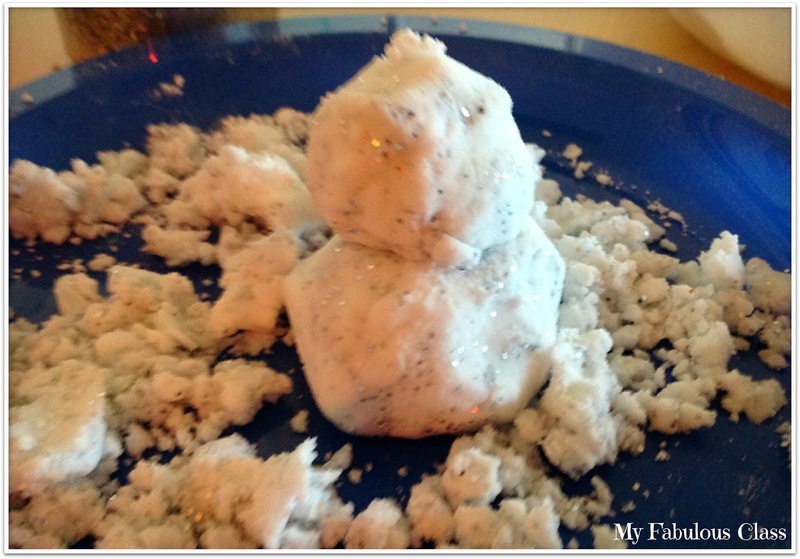 I am feeling a little inspired to make that "snow." Down here in Florida, these kids have never seen snow! (And neither have I for that matter...) Thank you! Thanks...so cute and can't wait to share with the kids!